Nearly 600,000 Bob Dylan fans around the world have watched the Dylan Messaging viral campaign, to promote the release of his greatest hits album DYLAN, out October 1. 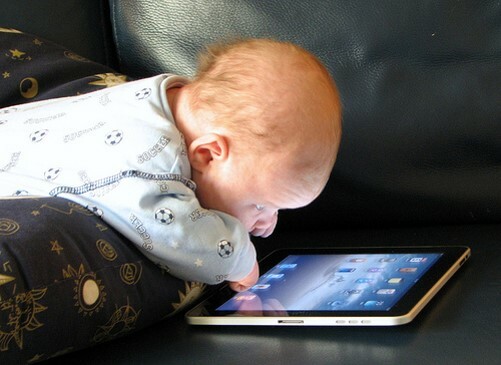 The Bob Dylan viral messaging campaign, launched by Sony BMG’s Columbia Records and Legacy Recordings, lets fans generate personalized versions of the cue card sequence to “Subterranean Homesick Blues” made famous in the film “Don’t Look Back“, D.A. Pennebaker’s filmed chronicle of Dylan’s 1965 UK tour. The Bob Dylan viral campaign gets a lot of attention and kudos in traditional mainstream and new media outlets. 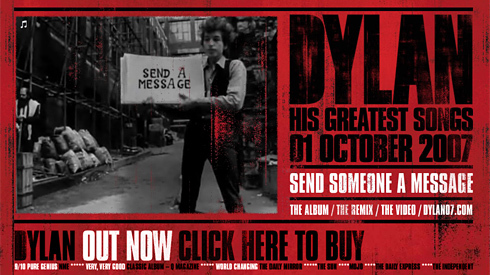 Over 1,000 blogs have posted the Dylan Messaging viral. Also the Bob Dylan Facebook application created by Techlightenment in conjunction with SonyBMG receives numerous compliments from authoritative Tech sites (TechCrunch, Mashable and FaceReviews). United Airlines Will Never Break Guitars Again? 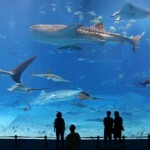 Why The Kuroshio Sea Aquarium Video Goes Viral?